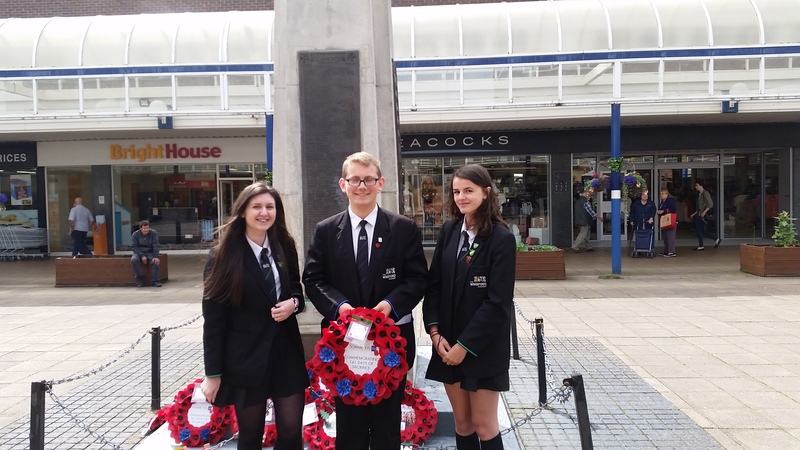 Three Winsford Academy students took part in the town’s commemoration last week in the town centre. Shaye Morley, Charlie West and Chloe Hampton read the letters of fallen soldiers and laid a wreath on behalf of the school. The event was attended by the town’s mayor and members of the Royal British Legion. The event was to remember soldiers from Winsford and the rest of Cheshire who fought in the Battle of Somme which began one hundred years ago on 1st July 1916. The battle was the most bloody conflict on World War One and over one million soldiers lost their lives on all sides. The students represented the academy well.